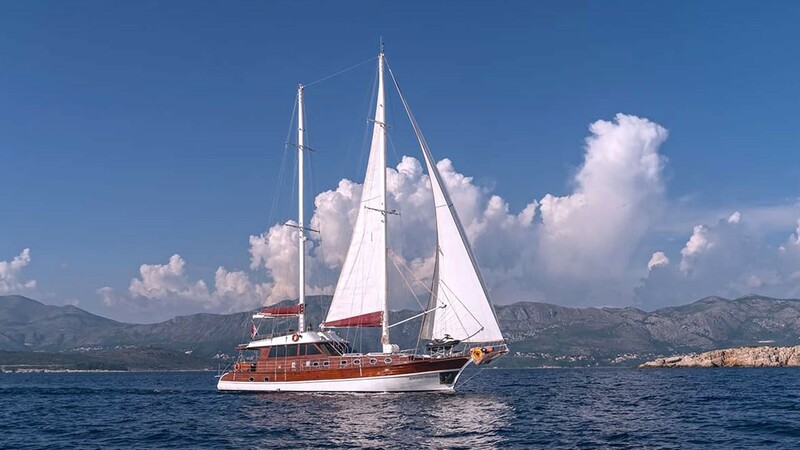 Gulet Adriatic Holiday is one of the best luxury Gulets for a yacht charter in Croatia and Adriatic. 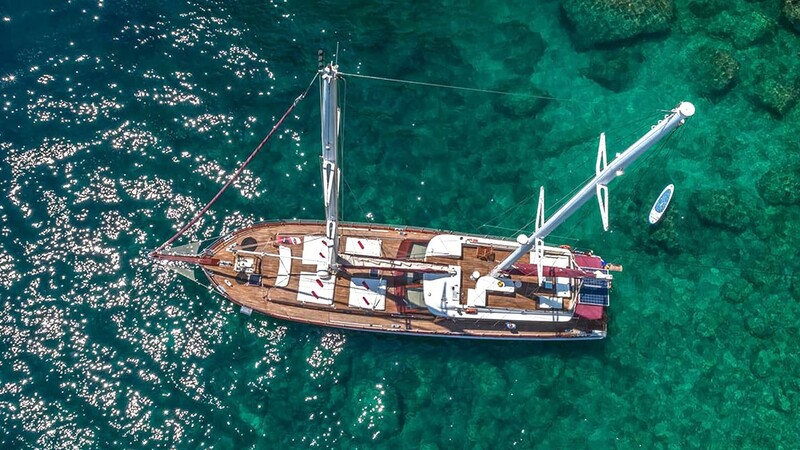 If you want to explore somewhere a little different, charter this comfortable gulet and enjoy a pleasant blue cruise in Europe. 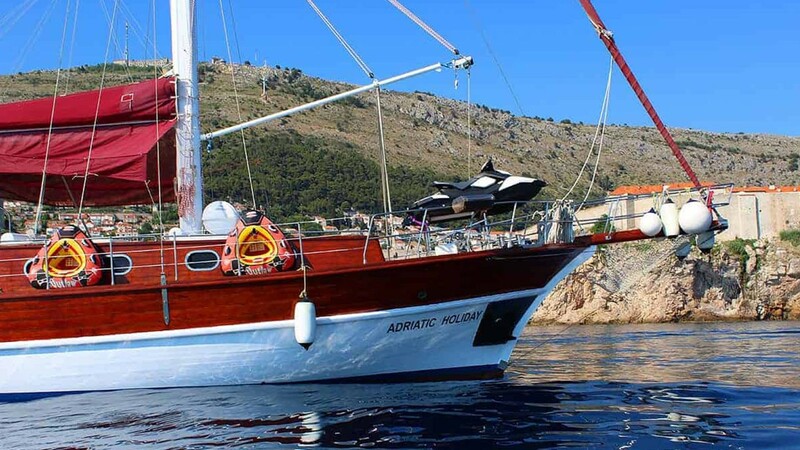 The Gulet Adriatic Holiday is an excellent choice for you. 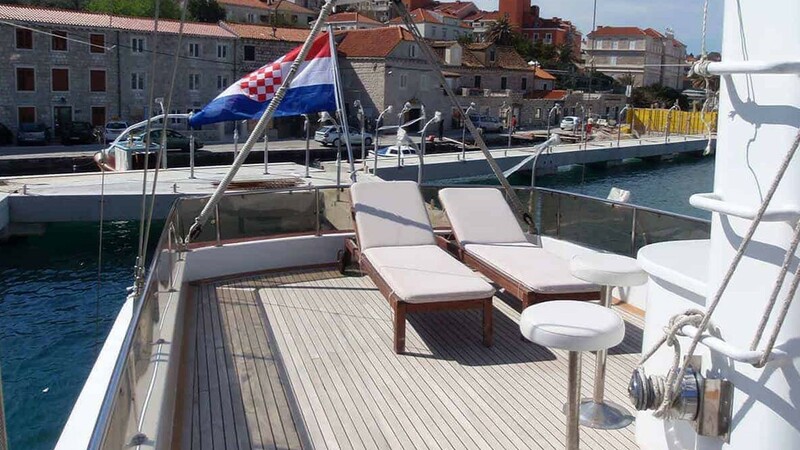 Adriatic Holiday will be happy to welcome you in Croatia with the privilege of Guletyacht.net. 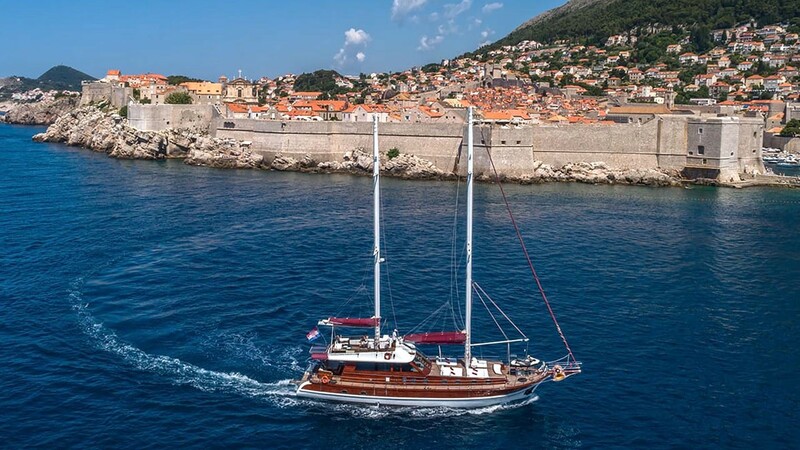 Adriatic Holiday Gulet is 27 meters in length with spacious cabins, a large deck and saloon are designed for your comfort. 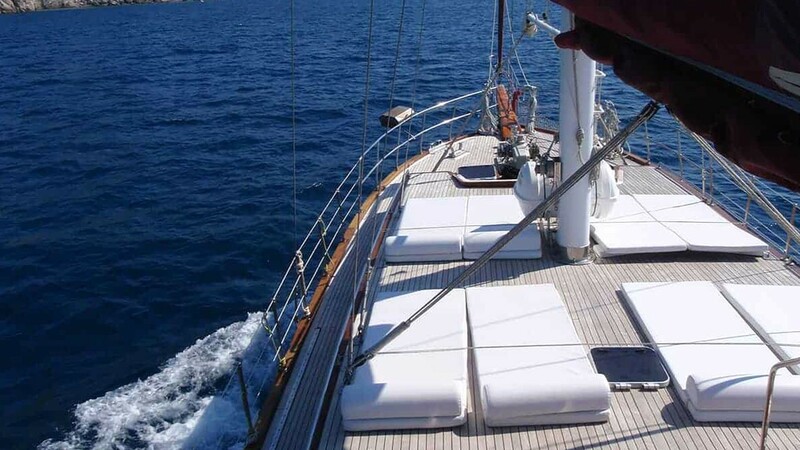 There are 1 Master cabin, 2 Double cabins, 2 Twin cabins, and each cabin has a private shower and toilet. 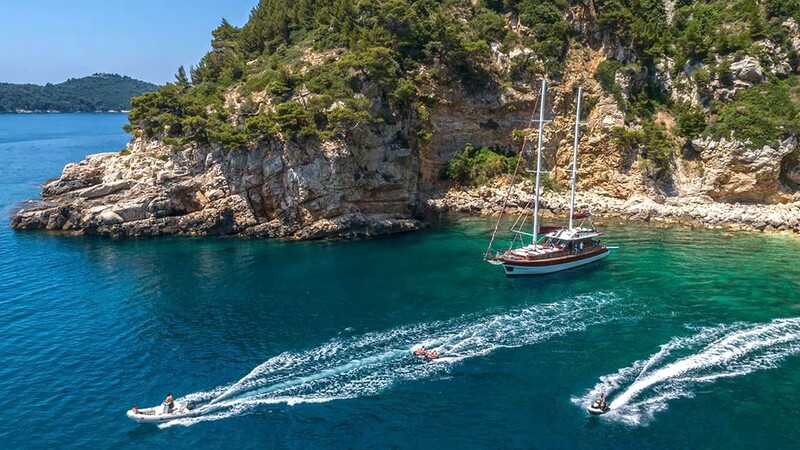 All the yacht including cabins are air-conditioned. 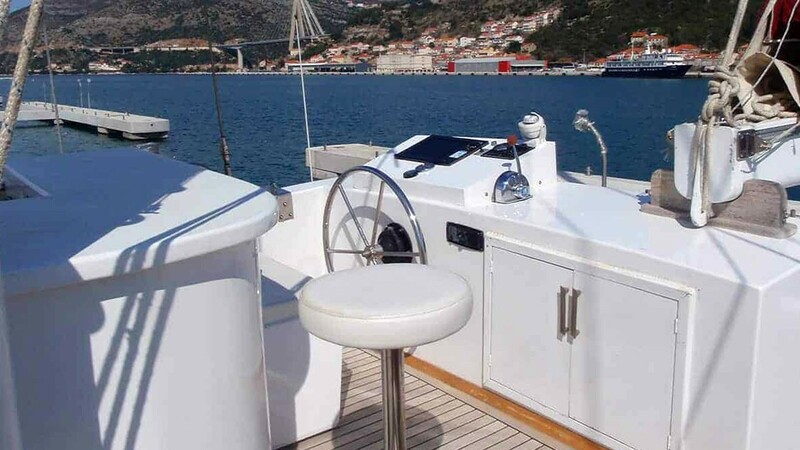 There is a TV, DVD and music system in the saloon..
On the rear deck, there is a spacious cushioned seating area, dining table, and dining area. 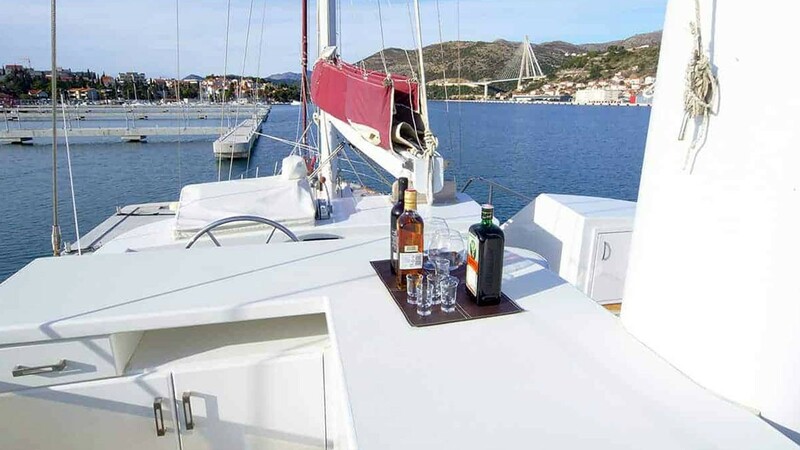 The salon has a separate dining table and your meals are prepared in a fully equipped separate kitchen. 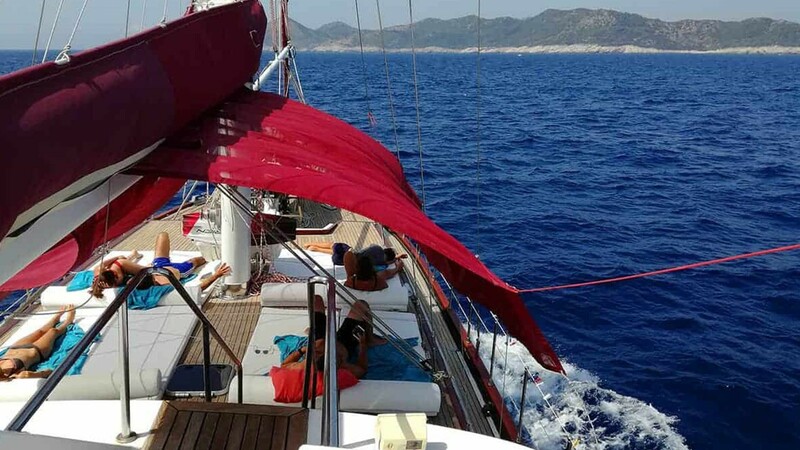 Adriatic Holiday Gulet has enough sunbathing cushions for all guests. 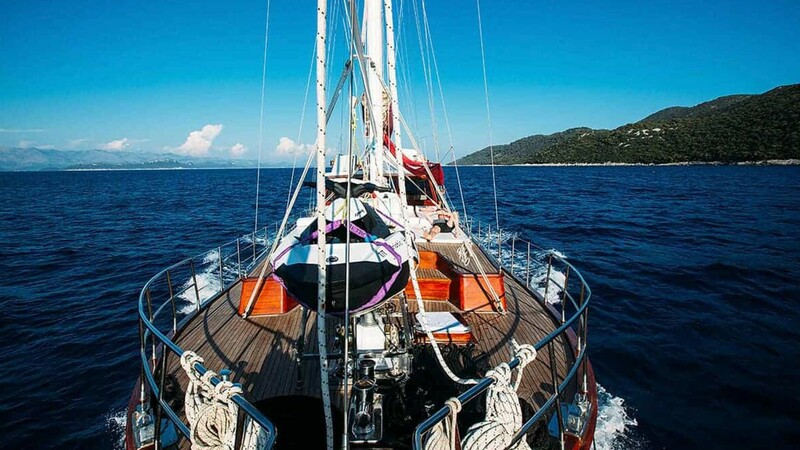 Gulet Adriatic Holiday is crewed by 3 people to meet all the needs of guests. 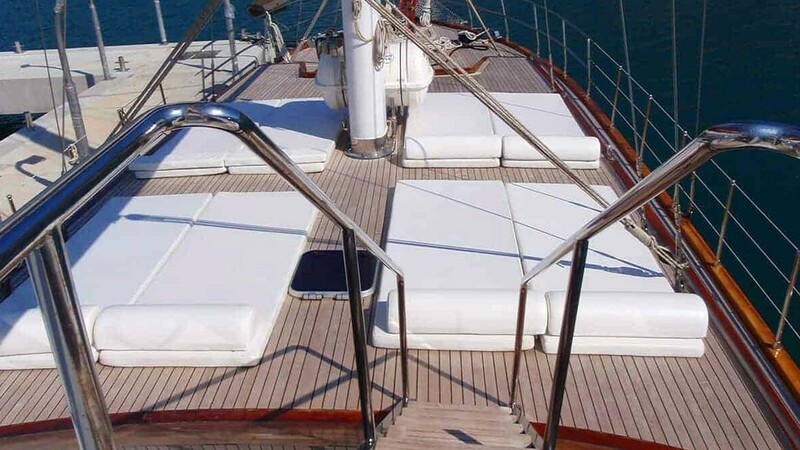 A professional crew is committed to the safety and comfort of the guests. 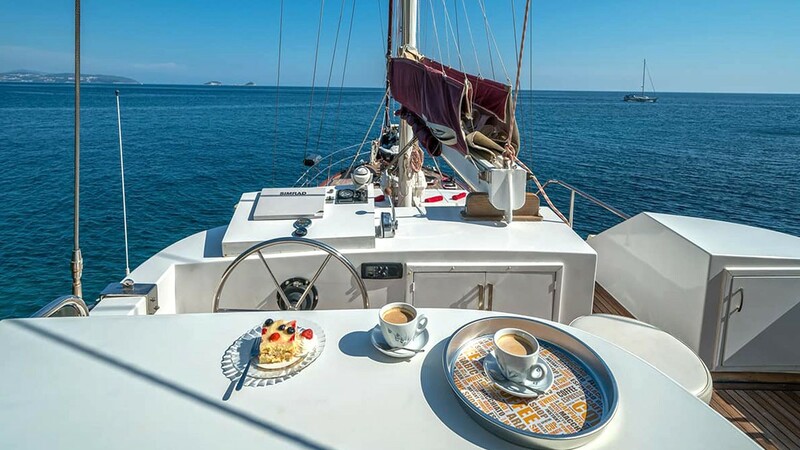 The organization of daily activities is its responsibility, as are all meals and drinks. 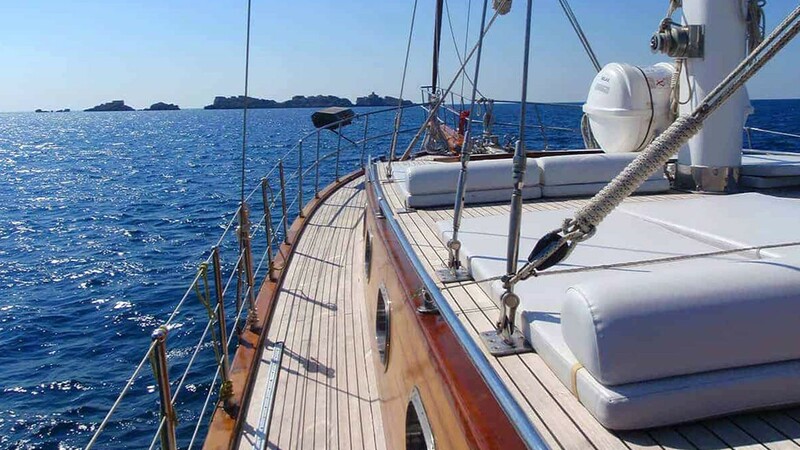 Safety, cleaning and other services are all the responsibility of the highly professional crew. 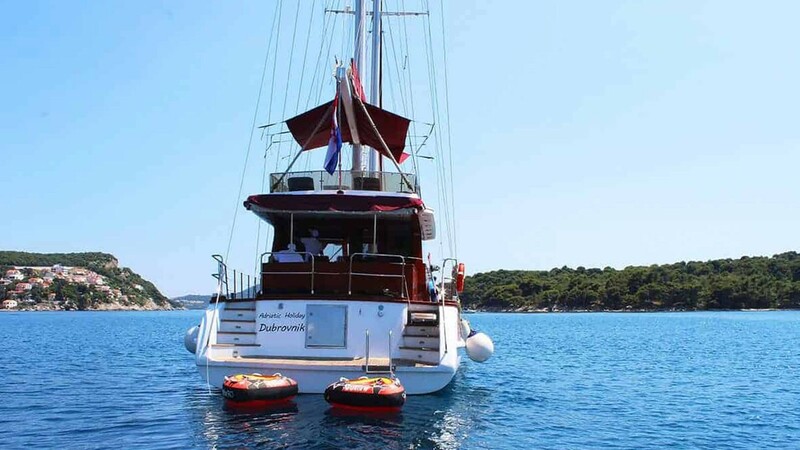 It has its own separate accommodation and bathroom departments independent of guests. 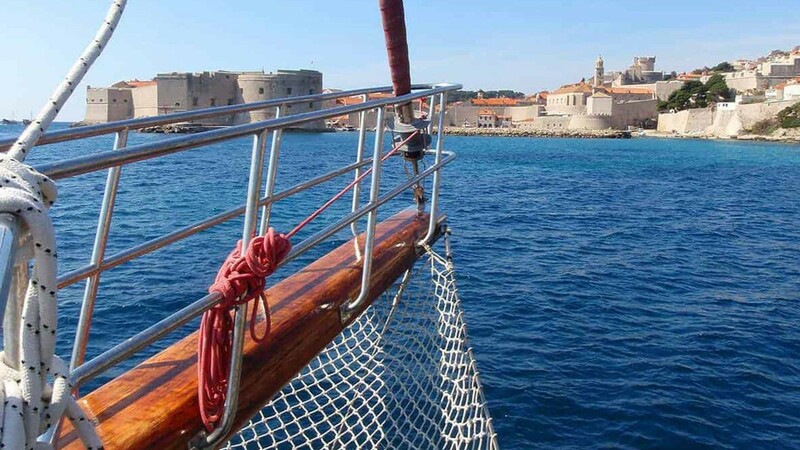 Upon agreement to agreed departure and arrival harbor may harbor of Dubrovnik, Mljet, Korcula, Hvar, Split, Trogir, Sibenik, Zadar, Pula. Also up to the agreement, other small towns are possible to departure and arrival up to the agreement. 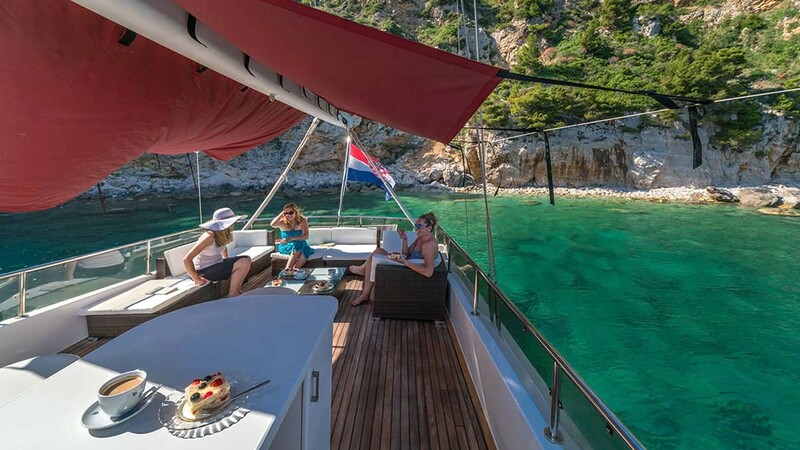 Gulet Adriatic Holiday is a luxury yacht sailing in a peaceful and tranquil environment. 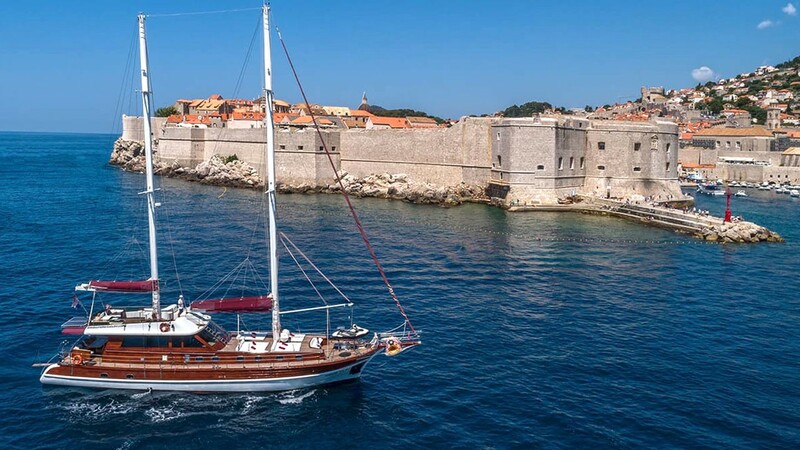 You can return home rested and reinvigorated after discovering the pristine turquoise waters and the beauty of the Adriatic. 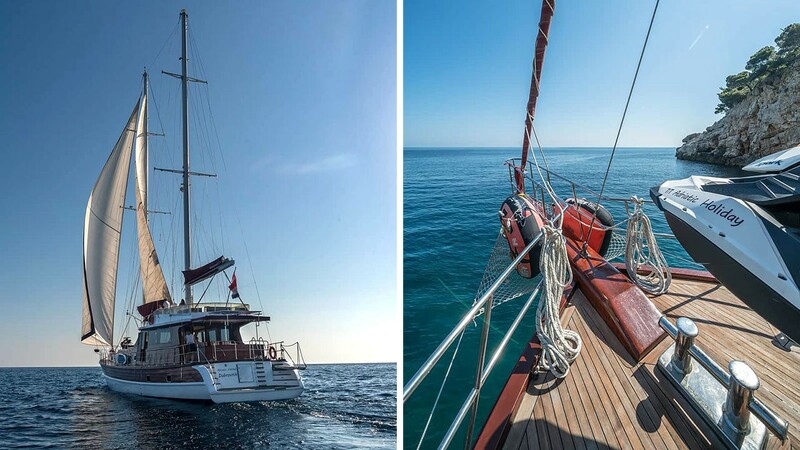 Want to charter Gulet Adriatic Holiday? Send an inquiry and get the best offer.